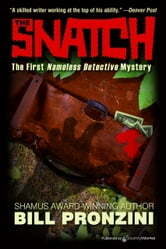 In his first chronicled adventure, the Nameless detective hires on to handle the ransom payoff in a kidnapping case. Financier Louis Martinetti doesn't trust the police to deal with the man who snatched his 9-year-old son from his military prep school, nor is it clear that he trusts the members of his own household. On the appointed evening, Nameless takes a briefcase that contains 300,000 in cash to a secluded location chosen by the kidnapper. Then all hell breaks loose.